Within a compact space, choosing the right pieces of furniture is crucial in order to feel relaxed and comfortable. Maximize every square foot of your room with Bestar's Small Space units! Durable commercial grade top surface with melamine finish that resists scratches, stains and burns. The top surface is 11= inch deep. 2 adjustable shelves to maximize your options. Assembly Required. This white corner itaghre offers a stylish solution to needing more storage space in your home. Featuring a three tiered design and a bold, modern white finish, use this convenient unit for keeping essential toiletries within reach as you need them or simply to display your favourite decorative items. Looking to create a unique bedroom for your little treasure? Then you'll just love this collection! You can set up various configurations so you'll have a nicely segmented room that's easy to keep tidy and for storing things. Perfect for keeping everything neat and orderly! This storage unit on casters is perfect for putting both seasonal and everyday things out of sight- and you can save space by sliding it under the loft bed! Isn't that ingenious? 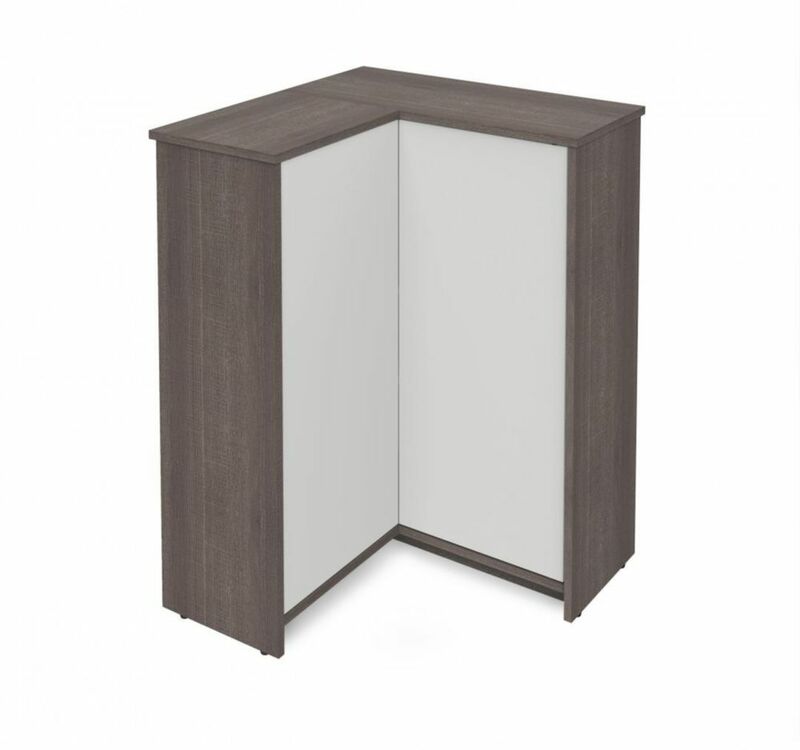 Small Space Corner Storage Unit - Bark Gray & White Within a compact space, choosing the right pieces of furniture is crucial in order to feel relaxed and comfortable. Maximize every square foot of your room with Bestar's Small Space units! Durable commercial grade top surface with melamine finish that resists scratches, stains and burns. The top surface is 11= inch deep. 2 adjustable shelves to maximize your options. Assembly Required.